Columbiad guns of the Confederate water battery at Warrington, Fla., near Pensacola, February 1861. 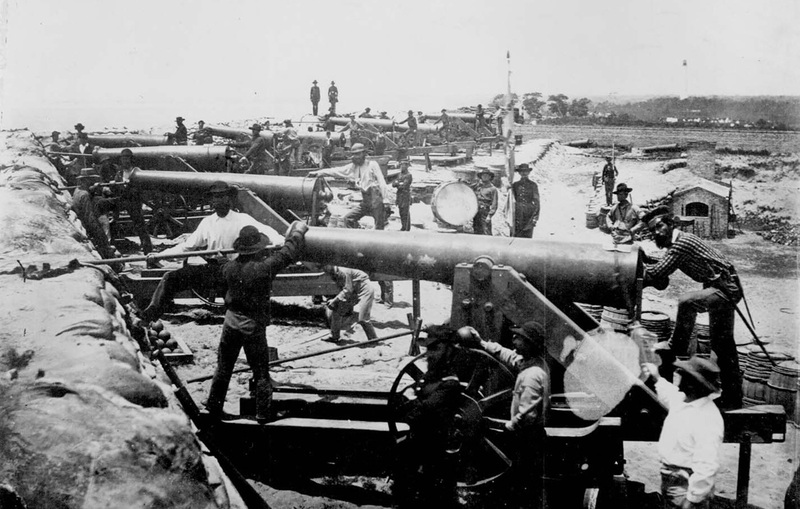 With the railroad to Pensacola under construction and finally completed in May, the Confederates could move large guns and troops more quickly to the coast. Columbiad guns of the Confederate water battery at Warrington, FL (Pensacola Bay).